So it happened. 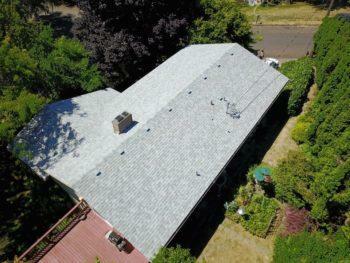 You need a roof replacement in Camas for your home, a job you might not have even been expecting. And unfortunately, unlike many other home maintenance jobs, if your roof gives in, you can’t just pretend it never happened! Because the roof is a crucial part of your home and it will be a costly job no matter which roofing contractor you decide to go with, it’s important to choose the right one. And there’s a lot more to look at than the quoted estimate when it comes to the cost of your new roof. 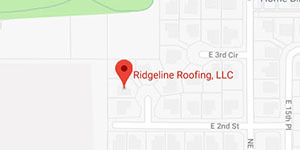 For an honest roofing company you can count on, go with Ridgeline Roofing. Our goal is to make sure you’re safe and secure while providing quality services at a fair price. What if my roof is still in okay condition? 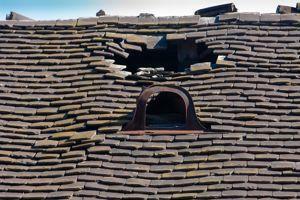 If your roofing is still holding up but has some flaws and quirks, call us and we come by and take a look. Depending on how close you are to needing a new roof, there are a few things that we can try, but we’ll let you make the final decision. One option is to attempt roof repairs. This will likely prolong the life of your roof so you can save up for the inevitable replacement. If you have the budget for it, we might suggest tearing off the current roof and replacing it before the job is forced. Doing so will likely save you money over the long run if you’re able to afford it now, plus you won’t have to worry about waiting for the day to come when you can’t put it off any longer. One way that other roofers stay cheap is because they use cheap materials that don’t last. At Ridgeline Roofing, we go with Malarkey Brand roofing that’s highly-rated, looks great, and comes with a 50-year warranty! I need a new roof in winter. What can I do? Unlike many roofing companies, we’re willing and able to work through the weather. Some roofing materials are designed to protect you from the elements and are meant to get wet. Others are a little more sensitive and need to stay dry to be effective. During the rainy season, we install carefully. One way we do this is using modern technology to keep track of the weather so that we can work when it’s dry and put items that can’t get wet away before the rains return. We know it’s very–if not most–important to have a functional roof in winter, so we make sure you’re covered. So don’t hold off! Fill out a contact form or give us a call now to get started on the process for your roof replacement in Camas. I appreciate all the fast honest work that Ridgeline provided us with our new roof. Will definitely call again if ever needed.